What Happened to the Squid Jiggers? As so often happens with performing acts, the Squid Jiggers have come to a point where we looked at each other and said, "What now?" We couldn't satisfactorily answer the question, so we decided it was best if the Squid Jiggers took a hiatus—perhaps of the permanent type (though we make no promises). Playing music has never been an easy life, but in the current climate of shrinking audience size and dwindling CD sales, it became increasingly hard to continue to find profitable, fun shows that made it worth our time to "take a break" from our regular jobs, projects, and gigs to perform with the Squid Jiggers. Troy will continue to record and play with the Half Moon Jug Band, and Dave will continue to do the same as a solo artist, but we will not be strapping on our tentacles for the foreseeable future. We are very thankful for all the friends we have made and shows we've played as the Squid Jiggers, and we will continue to be good friends, as we were before this whole journey started in the winter of 2010. We hope you will stay with us as we each journey on and keep playing fantastic shows separately. 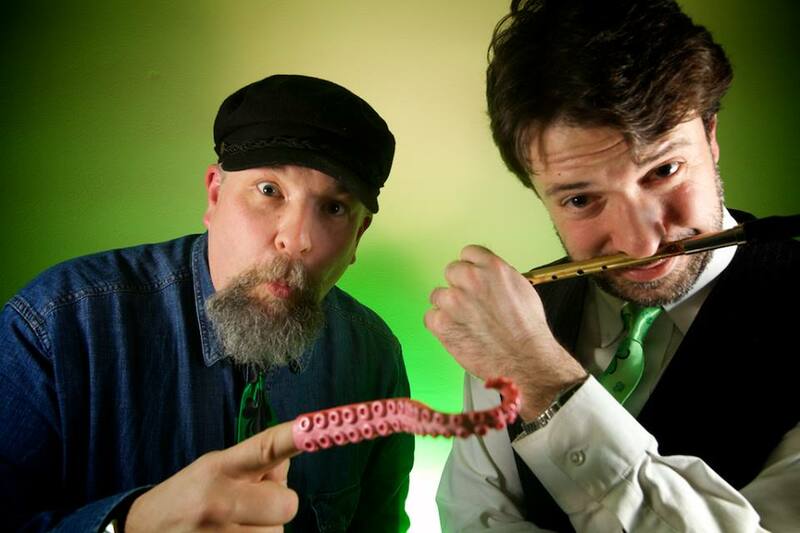 The Squid Jiggers is a Maine-based folk duo comprised of inveterate musician-entertainers, Dave Rowe and Troy R. Bennett. They took their name from the A.R. Scammell song Squid Jigging Ground, which is a wonderful musical depiction of fishing for squid in the waters off Newfoundland. They combine their talents on guitar, bass, bodhran, and tin whistles to lay down a thunderous musical base for their robust vocal harmonies. 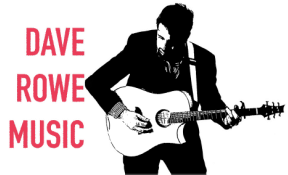 Rowe grew up on the Maine music scene, learning the music trade literally at the feet of his late father, Tom, while the elder Rowe was traveling the country playing bass guitar with Schooner Fare. Starting out as a young roadie and coffee gofer for his dad, Dave began playing out professionally as a bassist at the age of 15, and hasn’t had a real job since! In 1993 the Rowe men got together and formed a duo, which eventually became known as Turkey Hollow when Denny Breau joined. With Tom’s passing in 2004, Dave began touring solo and with his critically-acclaimed trio as singer and guitarist, all of which he continues to do. With the formation of The Squid Jiggers, Dave comes full circle, picking up his dad’s trademark Steinberger bass guitar and playing many of the songs he used to hear Schooner Fare perform so many years ago. Troy R. Bennett grew up collecting Schooner Fare ticket stubs and albums. He started his professional career touring with the Portland, Maine Irish band, Rakish Paddy. Upon leaving Rakish Paddy he adopted the gypsy life, traveling Europe with his guitar, collecting stories and busking on street corners. He eventually buckled down, studying Anglo-Irish literature at University College Galway and the University of Southern Maine. On his return to the states, he started a Celtic duo called Bailey’s Mistake, as well as the Half Moon Jug Band, a high-octane folk group specializing in new uses for kazoos and banjos. The Half Moon Jug Band continues to tour extensively across New England. When not playing with Jug Band or The Squid Jiggers, Troy travels southern Maine with his trusty co-pilot, “Hook the Wonder Dog,” making tintypes and collecting rare phonograph records.